A hungry burglar cooked himself pie and chips as he attempted to raid a flat. The peckish prowler targeted a hair salon and the flat above on Wantage Road, in Didcot, Oxfordshire. As well as preparing himself the hot meal, he also smoked cigarettes inside the property, Thames Valley Police said. A woman returned to find the man going through a cupboard at the salon, police said, and he fled the scene with some small change. 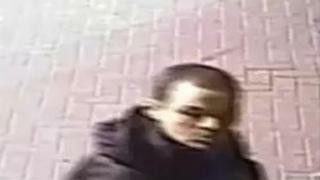 Police have released CCTV images of a man who they believe has "vital" information about Sunday's incident, and have appealed for anyone who recognises him to come forward. Asked what the burglar had prepared, a force spokesman said: "It was pie and chips, but the flavour is unknown."